We are one of the trusted manufacturers, exporters, retailers and wholesalers of an array of superior quality Men's Formal Shoes. 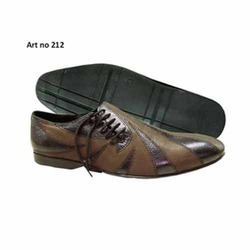 Our range of product comprises of Derby, Derby Shoe and Leather Shoes. These are available as per the needs and requirements of our respected customers. Being a quality centric company, we offer a distinctive range of Side Lace Shoes that widely finds its application all across the world. These are fabricated using high class material that is obtained from trusted vendors of the market to ensure its durability, superior quality and reliability. Our range of product is famous among the trendy men’sfor its classic looks. Maven Impex is engaged in manufacturing and supplying an extensive range of superior quality Derby Mens Shoes to satisfy the rising demands of the both domestic and international market. These are available in various sizes as per the requirements of our clients. Our range of product is made using latest technology and as per the various quality standards. 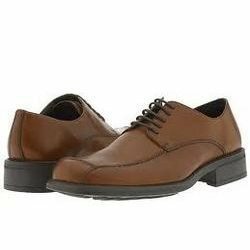 Looking for Men's Formal Shoes ?